When the BBC launched it's dedicated children's channels I designed this presenter's 'links' set for the channel presenters to 'live in' and introduce the channel programmes. This set was a 12 hours/7 days a week set so had to live up to some rough treatment at times. In the centre stands a Music machine that was one of the programme props and to the left was the conveyor belt from which children's letters were received! 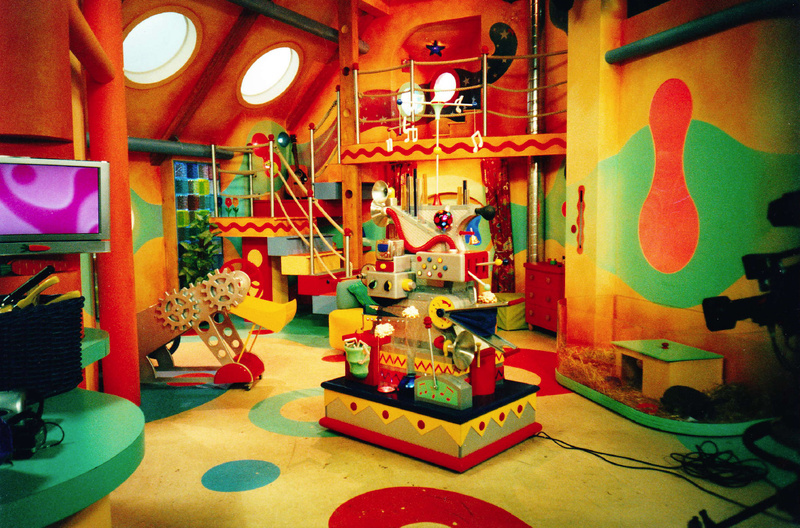 The split level Cbeebies 'Links' set design and Music machine.